CANBERRA, Australia — The Australian government unveiled a plan on Tuesday to balance the national budget next year and pay off all debt in a decade as it prepares for a general election next month. Treasurer Josh Frydenberg outlined a strategy to deliver a 7.1 billion Australian dollar ($5 billion) surplus in the fiscal year starting July 1 — Australia's first surplus budget in 12 years — while promising tax cuts and cash handouts for most Australians. Prime Minister Scott Morrison hopes the budget will be positively received by voters whom he will ask to re-elect his conservative coalition for a third three-year term. Morrison is expected to announce within days that an election will he held on May 11 or May 18. The government expects surpluses to grow annually to AU$17.8 billion in 2021-22 before slipping to AU$9.2 billion the following year as tax cuts take effect on government revenues. Net debt would peak at AU$373 billion in the current fiscal year — at 19.2 percent of GDP — and be paid off by 2029-30. 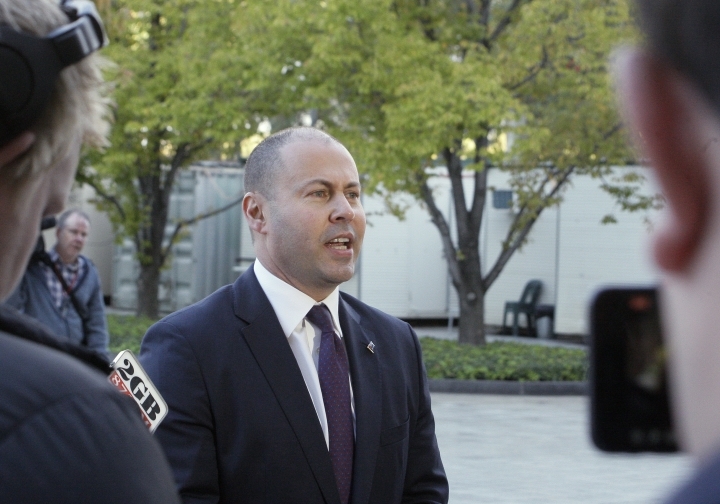 Frydenberg described proposed income tax cuts as the largest since Australia's mining boom years before the global financial crisis in 2008. The cuts, which include lowering the 32.5% tax rate to 30% from July 2024, are forecast to cost the nation's coffers AU$158 billion in tax revenue by 2030. The budget strategy has to be endorsed by Parliament to become law. But the government does not propose to get much of its economic blueprint through Parliament before the next election, which opinion polls suggest the center-left opposition Labor Party is likely to win. Frydenberg said he will try to pass legislation this week that would give AU$284 million to pensioners in one-off payments by July to help pay soaring energy bills. He said voters must decide at the election between the low-taxing conservatives and high-taxing and high-spending Labor. "There's a clear contest in this election between one side of politics which wants to reduce taxes and the Labor Party which will try and increase taxes," Frydenberg said. Opposition treasury spokesman Chris Bowen said Labor would go to the May election promising bigger surpluses than the ruling coalition. "Based on the figures we've seen tonight, we would have a better bottom line ... paid for by a whole range of policies," Bowen told Sky News TV. Annual GDP growth is forecast to accelerate from 2.25% in the current fiscal year to 2.75% for the next two years. The jobless rate is expected to remain unchanged at around 5%. The Australian economy is vulnerable to commodity swings that the Treasury Department regards as particularly volatile at the moment. Exports are forecast to grow by 4% in the next fiscal year, supported by major liquefied natural gas projects ramping up production. Australia recently overtook Qatar as the world's biggest LNG exporter. But prices of Australia's most lucrative exports — coal and iron ore — are forecast to decline next year. A dam collapse at a Brazilian iron ore mine in January that killed more than 110 people elevated prices of Australian iron ore in the current fiscal year. But the price will settle as supply issues are addressed, Treasury said. Australian coal shipments have also been held up at Chinese ports with conflicting reports of Chinese policy changes. "There is greater uncertainty than usual around commodity prices as a result of heightened price volatility and policies in China and Brazil," a Treasury document said. Frydenberg said one of the government's "chief concerns" is a forecast downturn in the Australian housing market next year. Housing prices are falling in Australia's largest cities, Sydney and Melbourne, where construction has slowed. 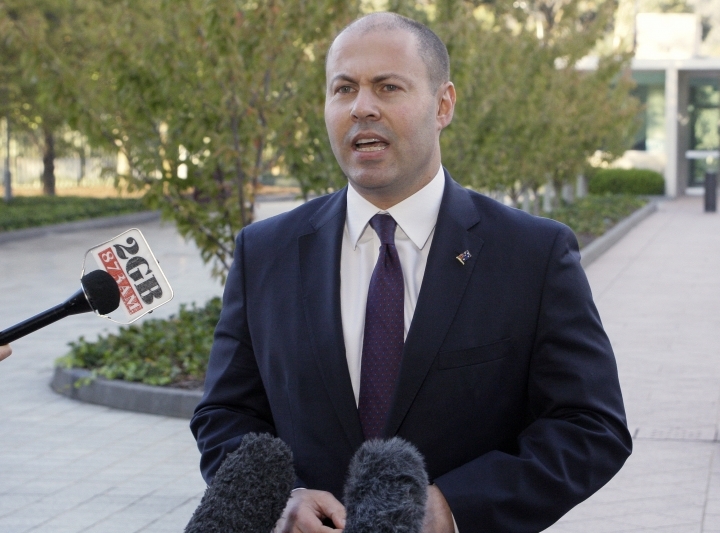 Frydenberg said the downturn would be worse if a Labor government is elected and implements its promised reduction of tax breaks for landlords. The budget continues the government's policy of increasing defense spending to 2% of GDP by 2020-21, with AU$38.7 billion allocated next year. President Donald Trump has called on U.S. allies to raise their defense spending to that level. A AU$2 billion fund to invest in infrastructure construction among Australia's Pacific island neighbors will become operation on July 1. The fund offers an alternative to growing Chinese investment in the Pacific. A conservative Australian government delivered annual surplus budgets for a decade before the global financial crisis struck during a Labor government's first year in office. Labor ran up debt through stimulus spending and avoided a recession. But Labor's failure to curb debt during six years in office damaged the party's economic credentials. If opinion polls are correct and Labor wins the next election, Morrison would become the sixth Australian prime minister since 2007 to fail to last an entire three-year term. Labor has said if it wins the election, it will outline its own economic blueprint before September.